Hey everyone! I am busy in the studio today (with Greta girl by my side) getting ready for the big launch tomorrow. Ten new 16×20 flats will hit the shop. Woot! Lots of work. Lots of fun, too. 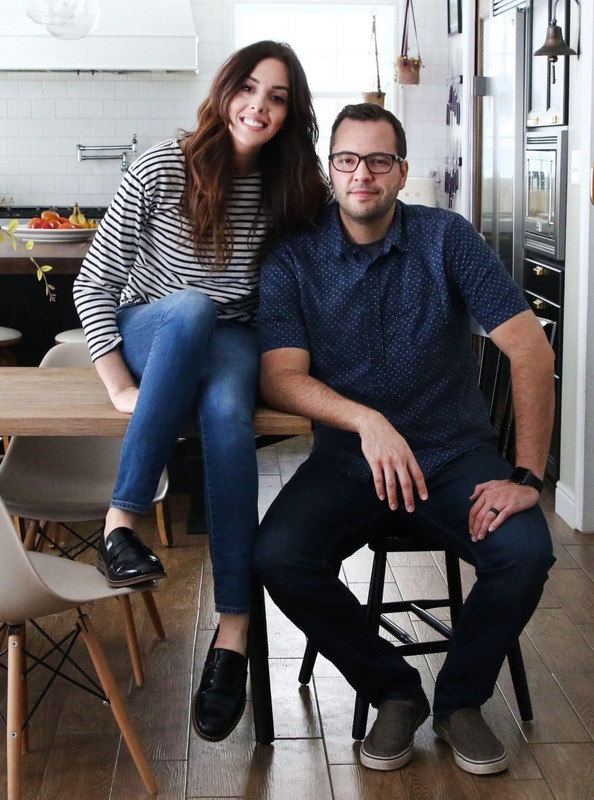 Fortunately, Chris is taking the blogging reigns today and spilling what he would look for if we were house hunting again. Which we totally aren’t, but it is a conversation we have often. What we would look for next time or sometimes what we wish we looked for this time around. Ha! You live, you learn. Take it away, Chris! 3- Good flow and open space. Specifically looking for the “cooking triangle”. This is when the stove, sink, and fridge create a triangle. You could possible make it a square by adding your counter space. It basically defines the flow of your kitchen and you need to be able to walk freely between the 3/4 spots. 4/5 – Design and Lighting (how it “looks”). Now, if you ask my wife, numbers 4 and 5 would be a lot closer to the top. That’s why we’re such a great team. But for me, I want functionality before anything else. Honestly, if it were solely up to me, all the counters would be stainless, with open cabinets and storage bins in every drawer, because that’s how the kitchen was set up for my culinary classes. Grabbing a pan from an open shelf against the wall is more convenient than opening a tiny corner base cabinet and moving the lazy susan around until you can see the pan you want. But in a house, you need to dress it up a bit more because most people don’t want those things visible. Our kitchen now has a peninsula, which provides a fair amount of counter space, but the area is so tiny and just doesn’t flow right and the peninsula kinda encroaches upon the seating area so people are squished in all the time. Our pantry takes up more space than it provides, and all the drawers are hysterically small. Thanks to Jules and a few updates she did, it looks much better than it did, but the lighting is far too aggressive. Chris’ Dream Kitchen. 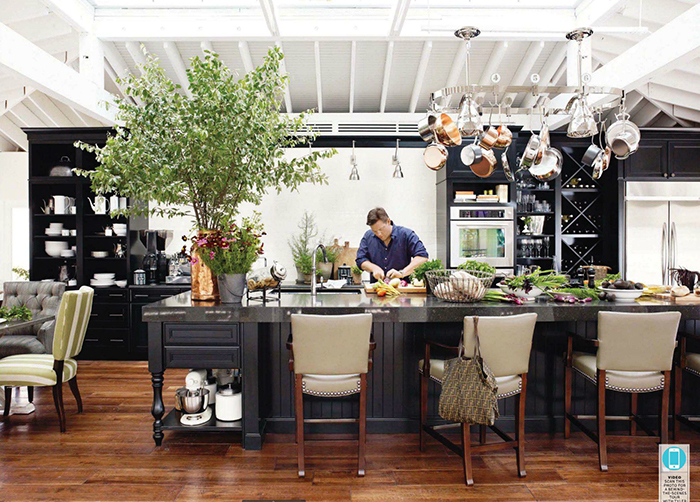 Also, Tyler Florence’s actual kitchen. Our “master bath” seems to be more of an apprentice if you ask me. It’s tiny beyond tiny. We have plans to update it and I’m sure it will help, but it would have been nice not to have to redesign the entire thing just to keep myself from getting hit in the nose when I’m using the toilet and someone opens the door. I mean, we bought the house because we saw the potential, but because of our layout, there’s zero chance to add space to the bathroom by opening a wall, unless we want to combine with the guest bathroom, and that’s not happening. Layout and things can be changed, but there’s only so much space you can add. So I would definitely make sure that the master bathroom has a great layout, or at least that there’s enough space to make it great. We love having people over. At least once a week we have someone over for dinner and games or something, and right now we just don’t have a great space to do this. I am a big fan of decks that wrap around a house, front to back (lived in Louisiana for 2 years and saw them so much, I just fell in love). Our back door goes out to a cement patio that is flush with the ground. That means there’s no chance of adding a deck. Ever. We still have some plans to make the space a little more exciting, but it’s still a limitation I wish we didn’t have to work within. What do you love in a house or wish you could change? What’s the number one thing on your dream-house list?? Holiday Happs and a Cheese and Crackers "World Record"
I here you on the kitchen! It was a big factor for us when we were looking at houses. We had ZERO counter space in our apartment and now we have a cooking triangle, a ton of counter space and plenty of room for storage. It’s positively blissful! Ohhh, I would LOVE a sunroom! Yes. Yes! As for the big, soaker tub. Eh. Not our jam. We are still a little ways off from the new blog launch (we ran into big problems with Disqus) but we’re launching 10 new paintings tomorrow that I have been working on. oh man… I CONSTANTLY think about if I got a do-over… I would have never bought this house! (first house, live & learn, I guess). That kitchen is a dream! For me, I want storage space. I am tired of using my closet to store everything that ISN’T clothes. Annoying apartment living, I guess. My dream house will have a big gorgeous master bedroom and for Ryan, a must for him is definitely a HUGE soaker tub. The guy likes his baths! Another thing that I love that is more of a southern thing, is a sun room/morning room. My parents added it when they were building their house in NC and it is a room off the kitchen dining area but it has windows all around and looks out to the backyard. That room is used soooo often. We all usually cram into that room instead of being in the big family room where the comfy couches are. It is such a gorgeous room and I know that is a must for me. Excited to see the new bloggie design!